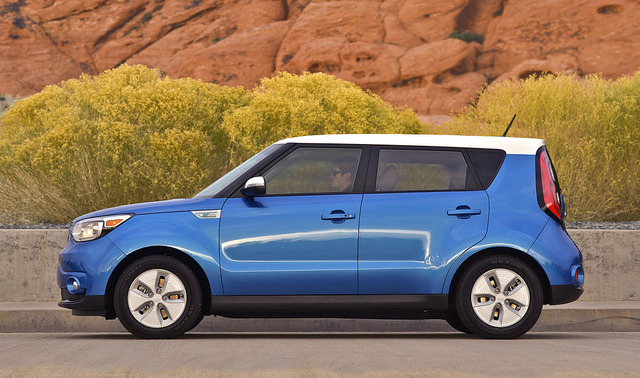 The 2016 Kia Soul EV is one of the most efficient crossovers on the market today. The eco-friendly automobile sees a gas mileage rating of 120 MPG (city) and 92 MPG (highway), and the auto preserves the utility of the gasoline powered edition of the vehicle. The car is powered by an engine rated at 109 horsepower that is combined with a lithium ion battery. The Soul EV can recharge in between four and five hours at a 240 Volt charging station; however, sales of the vehicle are not available in all states in the U.S.